The disciples and Jesus – and the blind beggar, Bartimaeus. God had a higher purpose than the injustice suffered by the ‘son of uncleanness’. Job 42:1-6, 10-17 – Job’s encounter with God opens his eyes. He repents of his earlier poor understanding of God and His ways. Jeremiah 31:7-9 – Distraught Israel is promised a new relationship with God. The remnant, exiled people without rights in a foreign land, will return rejoicing. Mark 10:46-52 – Blind Bartimaeus implores Jesus to heal him. A man without physical sight sees Jesus and His kingdom purpose more clearly than the disciples. Hebrews 7:23-28 – priests could sacrifice for sins, but only Jesus can save completely. Jewish Christians brought up under priesthood are taught about Jesus’ unique position as the only intermediary we ever need. 1-2 Then Job replied to the Lord: “I know that You can do all things; no purpose of Yours can be thwarted. “I know…” Job has realised two things from what the Lord has said to all of them, in His summing-up speech: (1) how unlike God he is, and (2) the message that God is both loving and all-powerful. For further study: read Gen. 18:14; Jer. 32:17; Matt. 19:26. Nothing can stop God’s plan, Job 23:13; Isa 14:27; 46:10. 3 “You asked, ‘Who is this that obscures My plans without knowledge?’ Surely I spoke of things I did not understand, things too wonderful for me to know. “You asked…You said” – Job quotes, with humility, what God had said at the beginning of His first speech. He is seeing God in a new way. 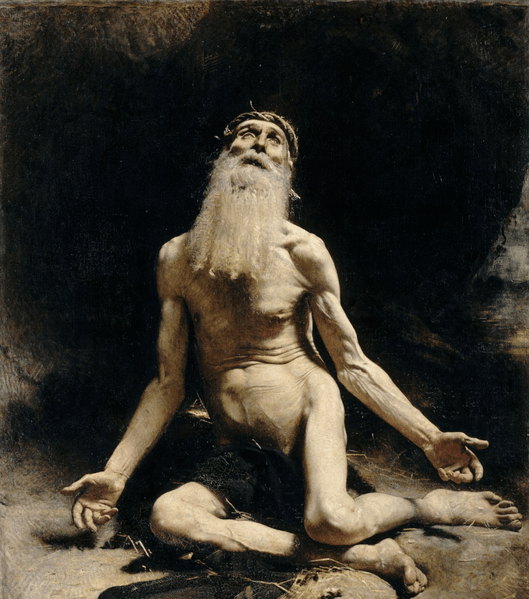 “Things I did not understand” – Job has spoken about God with accuracy and integrity, even if his understanding was now shown to have been limited. His friends had not, and their spokesman Eliphaz, Job 4:12-16, 42:7, had implied that his advice came from prophetic insight. God affirmed Job but not Eliphaz and his friends in their superficial doctrine about God who they clearly did not know. 5 “My ears had heard of You but now my eyes have seen You. “I despise myself…I repent…” – Job is saying that he recognises the ignorance behind his words earlier and he repents of having such a weak understanding of God; not as his friends had urged, of moral issues. 10-11 After Job had prayed for his friends, the Lord restored his fortunes and gave him twice as much as he had before. All his brothers and sisters and everyone who had known him before came and ate with him in his house. They comforted and consoled him over all the trouble the Lord had brought on him, and each one gave him a piece of silver and a gold ring. “The Lord restored… him” – The last words we heard from Job are repentance (v.6). Now we hear of Job’s restoration and the extent to which God blessed him. The two are linked. 12 The Lord blessed the latter part of Job’s life more than the former part. He had fourteen thousand sheep, six thousand camels, a thousand yoke of oxen and a thousand donkeys. 13-15 And he also had seven sons and three daughters. The first daughter he named Jemimah, the second Keziah and the third Keren-Happuch. Nowhere in all the land were there found women as beautiful as Job’s daughters, and their father granted them an inheritance along with their brothers. “He had…” – wealth was counted in head of livestock as much if not more than possession of silver. The tally is twice the number of animals, but not children – Job already had seven sons and three daughters waiting for him in heaven. 16-17 After this, Job lived a hundred and forty years; he saw his children and their children to the fourth generation. And so Job died, an old man and full of years. “Full of years” – ripe old age, like Abraham and Isaac, Gen. 25:8; 35:29, being a sign of God’s blessing. Job’s friends seem to have come from the Edom or south Euphrates region. If Job is an abbreviation of Jobab, he was son of Zerah and great-grandson on Esau, and second king of Edom, Genesis 36:33. He was a person of great influence, in his own words, Job 29:7-25 “When I went to the gate of the city, and took my seat in the public square, the young men saw me and stepped aside and the old men rose to their feet; the chief men refrained from talking… because I rescued the poor… and the fatherless… was a father to the needy… broke the fangs of the wicked…I thought…’My glory will not fade’…people listened…I chose the way for them and sat as their chief.” His long life was probably a generation or so before Moses’ encounter with God at the burning bush and his story would have told in Midian at that time, before the Israelites’ flight from Egypt. Jeremiah 31:7-9 – Distraught Israel is promised a new relationship with God. God promises Israel that “I will be … God … , and they shall be my people,” Jer. 31:1-14 and in a number of other places in Jeremiah,, with the additional promises that He will have mercy on weary Israel, Jer. 31:15–26, and will make Israel secure, Jer. 31:27–30. “The foremost” – because they are God’s elect. “Lord, save…” – the Hebrew for this word is the basis of Hosanna, the cries of people outside Jerusalem at the triumphal entry (Palm Sunday), Matt. 21:9. “The remnant” – those who have survived exile, to be called back. 8 See, I will bring them from the land of the north and gather them from the ends of the earth. Among them will be the blind and the lame, expectant mothers and women in labour; a great throng will return. “North… and from the ends of the earth” – Assyria and Babylon and the remoter parts of the then known world. A regathering with all included. About 50,000 returned between 538-536 BC. 9 They will come with weeping; they will pray as I bring them back. I will lead them beside streams of water on a level path where they will not stumble, because I am Israel’s father, and Ephraim is My firstborn son. For further study, see Ps. 125:5-6, Isaiah 55:12, Psalm 23:1-3, Isaiah 49:10, Isaiah 40:3-4. “Ephraim is My firstborn” – meaning first in rank and priority, Exod. 4:22. David, eighth son of Jesse, is referred to in this way, Psalm 89:27 and Jesus is called the firstborn over all creation, Col. 1:15; Rev. 1:5. The prophets referred to Ephraim and Judah as a shorthand for the nation of Israel. IN PRACTICE Job made mistakes in his attitude to God whole he suffered, and the nation of Israel made mistakes in their attitude to God, rejecting the appeals of the prophets and suffering the calamities of two successive deportations, first the northern kingdom and then the fall of Judah and Jerusalem. However, Job was honest in his attempts to challenge God, while his counsellors gave him theological-sounding statements but without demonstrating that they actually knew God who they were claiming to honour. Job got right with God, admitting that his relationship was more knowledge than heart, and he was commended by God for this, while his opinionated counsellors were rebuked. There is a parallel with the Jews in exile, where a remnant survived, both as true worshippers and as those able to return, and God speaks through Jeremiah of leading them back with joy rather than difficulty. They had learned lessons, and come to know God in a far deeper way. God wants us to go deeper with Him. He wants our hearts, not our lip-service and sometimes he allows setbacks in which He gets our attention – and seeks to grow us through them. QUESTION Are you giving God a faithful one morning a week but sensing that He wants something different – your heart? Who do you know who could help you in praying this kind of prayer? “Jericho” – the new city built by Herod the Great, to the south of the site of the ancient and abandoned one. “By the roadside begging” – on the pilgrim route to Jerusalem, where Jesus and those with Him were going. “Bartimaeus” – Son of Impurity, a derisory name reflecting Jewish tradition that blindness resulted from sin, John 9:1-3. “Jesus, Son of David” – prepares the hearer or reader for the “Hosanna” shouts of the crowd at Jerusalem, Jer. 31:7 and note, above. “Mercy” – undeserved kindness, which Scripture repeatedly ascribes to God. Bartimaeus, blind in one sense, is seeing something clearly – Jesus is the Messiah but also personifies God’s merciful character in bringing the kingdom to poor, maimed and blind people like him. This was Jesus’ own understanding, Luke 4:18-19. “Many rebuked him” – regarding him of no status and no account, as they had earlier with children, and doing what He had taught was wrong then, Mark 10:13-14. 50 Throwing his cloak aside, he jumped to his feet and came to Jesus. “What do you want…” – Jesus’ ‘unnecessary’ question drew out the blind man’s faith as he then spoke out his expectation. Jesus gives the blind man what he asks for in faith. 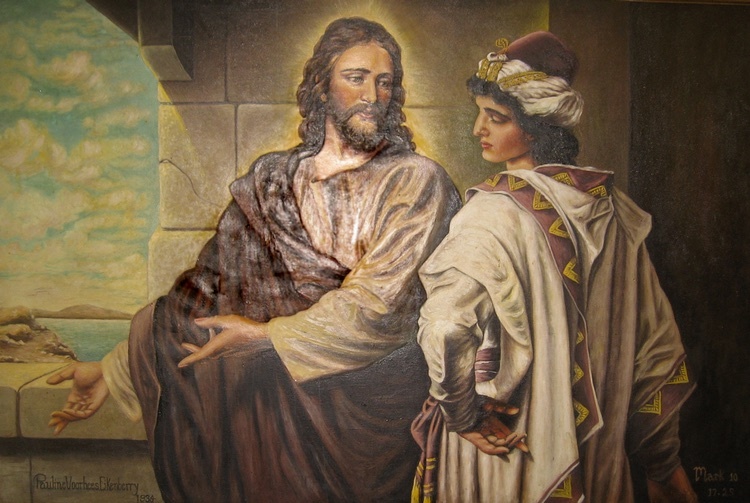 There is a parallel with the spiritual blindness and slow learning of James and John earlier, to whom he put the same question – probably Mark’s intention. “Your faith has healed you” – this time without touch unlike the previous occasion when a blind man was healed, Mark 8:22-26. For further study on faith and healing (sozo, literally ‘saved’) see Mark 5:23, 28, 34; Mark 6:56, Matt. 9:22, Luke 8:48. IN PRACTICE God’s higher purpose becomes, with Jesus, the realisation of His kingdom purpose and order. True personal faith in Jesus, who he is and what He stands for, is a connection with His rule and order which overturns the devil’s predatory activities. In this case the blind man’s humble acclamation of who Jesus is – Son of David, the embodiment of God’s mercy without condition – leads to an astounding healing miracle. At the same time the disciples, who in another way were somewhat blind to who Jesus was and what his earthly life was about, start to see their world through God’s eyes. We, too, are short-sighted, seeing our world with us at the centre and a lack of distant perspective. God has a higher purpose and an eternal timescale and wants us to join Him in it, even if it continually challenges our limited understanding. QUESTION Does God do these kinds of signs and wonders today? How could we put aside doubts to reach higher in asking Jesus to heal, deliver or save – all the same thing to Him? 23-25 Now there have been many of those priests, since death prevented them from continuing in office; but because Jesus lives forever, He has a permanent priesthood. Therefore He is able to save completely those who come to God through Him, because He always lives to intercede for them. “Permanent priesthood” – the language is that of something which cannot be changed. Now people will (1) never be without a priest to represent them to God, and (2) one who lives forever and therefore saves forever, (3) in a way which is now fully effective, unlike the old order of priests, expanded in Heb. 10:1-4;10-14. 26 Such a high priest truly meets our need – one who is holy, blameless, pure, set apart from sinners, exalted above the heavens. “Holy, blameless, pure, set apart” – contrasting the high priesthood of Jesus, who had no sin nature, with the morality of the Levitical priesthood which by comparison was weak, earthly and with the flaws of unredeemed human nature. “He does not need to offer sacrifices” – from a different starting point, Jesus represents a completely different order of priesthood “unlike the other high priests” who sacrificed only animals, an imperfect substitute. Our high priest offered Himself. “The oath… after the law” – a verse which echoes Heb. 5:1-3 and sums up the whole discussion of Heb. 5:1-10; 7:1-28 of Christ’s appointment from perfect (complete) qualification, to a far superior high priesthood that the Levitical priesthood could never achieve. The oath refers to Psalm 110:4, a declaration of God’s promise of an eternal priest, over and above the earlier giving of the law and establishment of temporal priests and high priests. IN PRACTICE Jews who were now part of the Christian church, worshipping God through their own relationship with Him enabled both by Jesus and the Holy Spirit, thought they had a problem. For some years after the Resurrection, in fact up to the sacking of Jerusalem in 70 AD, the Levitical priesthood and temple sacrifice system continued. This is what they had been brought up with. It was important to them. But now they have become aware, as 1 Peter 2:9, Rev 1:6 teaches, that believers are their own priesthood with royal privileges, as sons and daughters of the king! The writer of Hebrews seeks to explain this transition in terms these Jewish believers could relate to. But there’s a message for all of us. The only priestly intermediary any of us need, is Jesus Christ. He has identified totally with our world and our sin, before paying the price for it and ascending to take up a role for which He has uniquely qualified. We are not perfect; He is, and He is poised to take our intercession and pray it with us. This is an important part of the Good News, and it enables us to pray bold prayers by understanding His position and the relationship we have with Him. QUESTION If you know Jesus, and are part of this new royal priesthood, how confident are you about representing before God someone with a need who has asked you to pray for them? PRAYER Father God, so many things that we think we see clearly have a greater purpose or different timescale or way of working out than we are aware of at first. Help us to be of “earthly use by being heavenly minded” as we grow in faith from Your word in these passages where the story starts one way and ends – Your way! SUMMARY The theme explores God’s lack of favouritism – and how we treat each other in that regard. 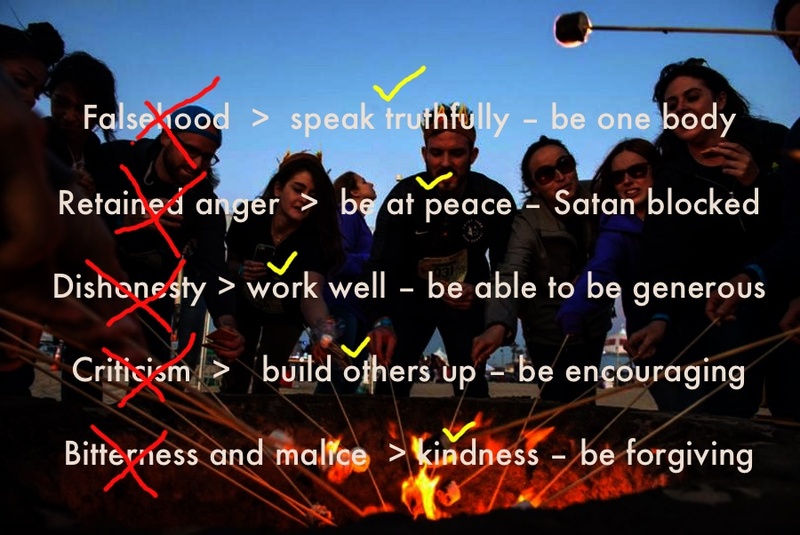 Proverbs 22 lays down principles which the Mark 7 stories expand. Jews had little to do with non-Jews; Jesus, however, carried out a deliverance for a Syrian Gentile woman with a severely demonised child, and then performed another healing miracle in a largely Gentile Decapolis area. James’ teaching in the epistle reading challenges how impartial our response is, to someone coming to join in who is ‘not like us’ – in particular, whether we discriminate between the well-off and others. These Scriptures urge us to go beyond our human love with its social constraints and conditions, to love people with God’s impartial love. “A good name” – character is to be valued above riches, as Proverbs 3:14 and 16:16. The precepts of the Lord similarly, Psalm 19:10 and 119:72, 127. To oppress the poor, who are made in God’s image, is to insult God himself. See Proverbs 14:31. 8–9 Whoever sows injustice reaps calamity, and the rod they wield in fury will be broken. The generous will themselves be blessed, for they share their food with the poor. “Reaps calamity…will be blessed” – Scripture says much about the grace of God but also that all actions have consequences such that we reap what we sow; meanness and generosity of spirit both come back to us, but in opposite ways. For further study, see Proverbs 11:25–26; 14:21; 19:17, Hosea 8:72; Cor. 9:6–10, Galatians 6:7. 22–23 Do not exploit the poor because they are poor and do not crush the needy in court, for the Lord will take up their case and will exact life for life. “Do not exploit the poor” – which was common in a culture that believed riches demonstrated God’s blessing. See Proverbs 22:16, 14:31. Justice defends the needy, Isaiah 1:17. IN PRACTICE These verses set out God’s way which is to regard everyone without partiality – “God is no respecter of persons, meaning He does not show favouritism”, Acts 10:34, Galatians 2:6. God regards all who are His creation, even-handedly – and often chooses ‘outsiders’. Upholding this viewpoint, rather than the narrow, human perspective of our rights and entitlements to control and judge others, speaks plainly to us about how we judge others – or choose not to judge others. God’s ways are higher than our ways. QUESTION We all fall into the trap of favouritism and judging others! What is an area of this attitude that the Holy Spirit is revealing to you? Jesus left that place and went to the vicinity of Tyre. He entered a house and did not want anyone to know it; yet he could not keep His presence secret. “Tyre” – there was a Jewish community in the mainly Greek-speaking Gentile region of Tyre and Sidon who Jesus knew, Mark 3:8. 25–26 In fact, as soon as she heard about Him, a woman whose little daughter was possessed by an impure spirit came and fell at his feet. The woman was a Greek, born in Syrian Phoenicia. She begged Jesus to drive the demon out of her daughter. “She begged” – the sense is of asking repeatedly. She was a Gentile, compelled by her extreme need for her daughter, to ask help from a Jewish rabbi. “Children’s bread” – Jesus tests the woman’s faith in an exchange that was probably not as harsh-sounding as it is to us. “The children” are the Jewish people, “bread” is His message and “dogs” Gentiles. However “first” looks “the children” to Gentiles also receiving God’s grace. “Even puppies…are allowed…” – her reply to being compared to an unclean dog is humble but also persistent; the Good News may be for Jews first, Exodus 4:22, but others are included. She comes through the test demonstrating genuine faith. “She went home” – this was a deliverance where there was no contact or even proximity with the suffering person. For further study, compare with the healing miracles in Capernaum of the centurion’s servant, Matt. 8:5–13, Luke 7:1–10 and the official’s son, John 4:46–54 where Jesus was distant from the sick person. Spiritual salvation, healing and demonic deliverance are seen as the same process of God’s grace in the Bible. The Decapolis, east of Galilee, was another Hellenistic, mainly Gentile region, like Tyre and Sidon, where Jews had resettled following the deportations. 33–35 After He took him aside, away from the crowd, Jesus put his fingers into the man’s ears. Then He spat and touched the man’s tongue. He looked up to heaven and with a deep sigh said to him, “Ephphatha!” (which means “Be opened!”). At this, the man’s ears were opened, his tongue was loosened and he began to speak plainly. “Put his fingers” – Jesus uses sign language to tell the deaf man what He was doing for his hearing and also speech. “Took him aside” – Jesus did not want to make the man a spectacle. “Overwhelmed with amazement” – The crowd were attracted to someone they saw in terms of signs and wonders and possible political liberation. However Jesus needed His disciples and others to understand from the miracles who He was, a Messiah, vulnerable and without political might. He also wanted them to see beyond the healing of people’s physical disabilities, to their own spiritual blindness and deafness – and need. IN PRACTICE Jesus’ ministry in Tyre was a ministry to Jewish settlers there – He didn’t seek out a Syrian Gentile woman with a pressing family situation and a demon or two to send packing. But He wasn’t about to dismiss her because she was not one of the ‘children’ Hhe was sent to. What a lesson for us! We may have a clear idea of who are ‘our’ sort of people – people we relate to, in our church or belonging to our denomination or whatever. And then there’s someone else who needs prayer, who needs help. Maybe they are Romany, or a DSS family with history or folk from a different culture. What stops us? Bits and pieces of discrimination and judgment clutter our thoughts but Jesus, who had a clear call and clear priorities, didn’t hold back His love. Neither should we – we go with what He gives us, without partiality. QUESTION God is always testing us and taking us a bit outside our comfort zone. You probably have such a story, if you think about it. What did you learn from it? God’s love is seen in us to the extent we love others just for who they are, not showing any favouritism. My brothers and sisters, believers in our glorious Lord Jesus Christ must not show favouritism. “Favouritism” – Christ lived for 30 years in an undistinguished village and ministered in Galilee and Samaria, regions despised by Israel’s leaders, a strong statement about God’s impartiality. 2–4 Suppose a man comes into your meeting wearing a gold ring and fine clothes, and a poor man in filthy old clothes also comes in. If you show special attention to the man wearing fine clothes and say, “Here’s a good seat for you,” but say to the poor man, “You stand there” or “Sit on the floor by my feet,” have you not discriminated among yourselves and become judges with evil thoughts? “Meeting” – literally, ‘gathering’. At this time of transition James uses both this general word, also used for synagogue, and the Greek word for ‘church’, James 5:14. “Gold ring and fine clothes” – rings showed economic status, Luke 15:22. The early church was mixed socially with many who were not well off, Acts 4:35–37, Acts 6:1–6, 1 Cor. 1:26. “A good seat… sit on the floor” – most in a synagogue would stand or sit cross-legged on the floor. There would be a few benches around the wall and in front, which the Pharisees considered theirs by entitlement, Mark 12:38–39. 5–7 Listen, my dear brothers and sisters: Has not God chosen those who are poor in the eyes of the world to be rich in faith and to inherit the kingdom He promised those who love Him? But you have dishonoured the poor. Is it not the rich who are exploiting you? Are they not the ones who are dragging you into court? Are they not the ones who are blaspheming the noble name of Him to whom you belong? “Chosen… to inherit the kingdom” – God’s choosing is a combination of His calling and our response, into the sphere of salvation and the realm of Christ’s rule, the present sense of kingdom. God’s kingdom order confronts the world’s sense of priorities, Luke 6:20–23. “The noble name” – literally, “who slander the noble name spoken over you,” meaning the ownership of Jesus Christ which we declare at conversion and baptism. 8 If you really keep the royal law found in Scripture, “Love your neighbour as yourself,” you are doing right. “Royal law” – or sovereign law i.e. one that is binding, quoted from Leviticus 19:18. Taken with the command to love God, Deut. 6:4–5 it encapsulates all the Law and Prophets as Jesus taught and Paul emphasised, Matt. 22:36–40, Romans 13:8–10. 9–10 But if you show favouritism, you sin and are convicted by the law as lawbreakers. For whoever keeps the whole law and yet stumbles at just one point is guilty of breaking all of it. “If you show” – more accurately, “since you show”, the form of the verb indicating it was ongoing practice. Exclusive behaviour violates God’s royal, or supreme, law of love which governs all human relationships. Favouritism was prohibited in Leviticus 19:15, three verses removed from the command James quotes. 11 For He who said, “You shall not commit adultery,” also said, “You shall not murder.” If you do not commit adultery but do commit murder, you have become a lawbreaker. “Lawbreaker” – Jewish religious teaching had reduced the law to a long series of injunctions which were held to be of varying importance, rather than a unified way of life of loving God and therefore others. James’ point to his readers is that they could not cherry-pick and claim to live for God. 12–13 Speak and act as those who are going to be judged by the law that gives freedom, because judgment without mercy will be shown to anyone who has not been merciful. Mercy triumphs over judgment. Someone whose life does not show mercy and is judgmental, has clearly not received God’s mercy. The unredeemed will be judged for eternal hell, while those showing the evidence of God’s nature in new life – James assumes his readers are genuine believers – will be those with the assurance of receiving a different judgment, that of merciful freedom. 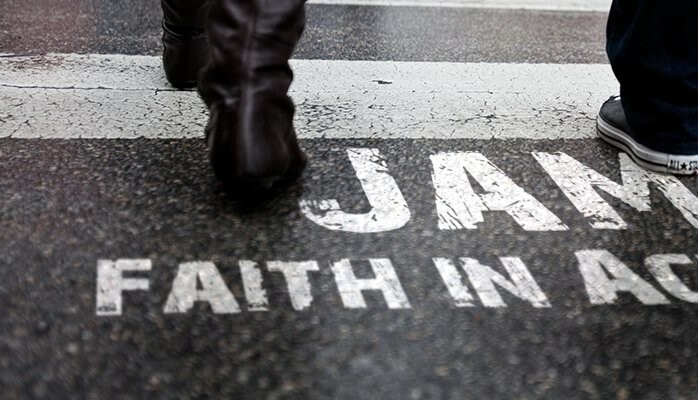 “Claims to have faith” – but if not genuine saving faith is demonic, useless and dead, James 2:19,20,26. Can such ‘faith’, form without substance, save them? The implication is that it cannot. Intellectually accepting certain truths, without the step of trusting Jesus Christ as Saviour, is not the faith that justifies and saves. 15–17 Suppose a brother or a sister is without clothes and daily food. If one of you says to them, “Go in peace; keep warm and well fed,” but does nothing about their physical needs, what good is it? In the same way, faith by itself, if it is not accompanied by action, is dead. Genuine faith and having God’s Spirit active within us is a spiritual condition that cannot help but produce actions that please God. James is in no way saying that a person is saved by their good works. He has clearly stated that salvation is a gracious gift from God that cannot be earned, James 1:17–18, see also Ephesians 2:8–9. He sets out plainly the danger of a kind of religiosity which is not sincere faith and which cannot save, above vv. 14 and 17, James 2:20, 24, 26 and see Jesus teaching e.g. Matt. 3:7–8, John 8:30–31. “What good is it?” – this picture of false faith is like the illustration of false love in 1 John 3:17. IN PRACTICE In a harsh and judgmental world, those who walk with Jesus and His Spirit are called to be different – and also empowered to live differently. Our call is simply to love others with God’s love. That’s more than a nice-sounding phrase. It means choosing not to apply man’s judgmental discriminations. It means accepting people as made in God’s Image. Most will be different. Many will be difficult for us. Their rejection of God may be overt. But God sent Jesus so that they could come back to Him and know Him personally. We are the impartial, non-judgmental guides He has put in place for them, serving under the royal law of love. QUESTION If we are called to model God’s impartiality to others, what sort of being different would be good? PRAYER Lord, in our humanness we judge others who are not like us and fall far short of having Your heart for them. Fill us with Your Spirit afresh to love with Your love and leave the judging to You because You are completely fair and impartial. Empower us to be reliable guides to others, showing the Way of Jesus and not our way. Amen. Also a set reading for this Sunday, Psalm 125 – Those who trust in God are upright in heart. 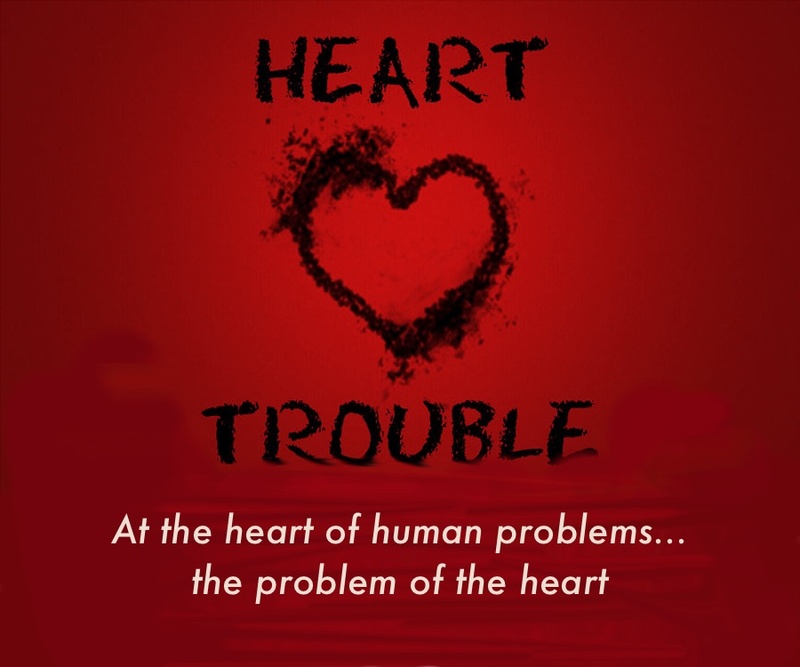 SUMMARY The human heart is innately sinful, selfish and corrupt – until it is opened up to God’s transformation through trusting Jesus. The Old Testament reading in Song of Songs is a picture of love, and of God’s heart of passionate love. The Gospel reading in Mark 7 brings Jesus’ confrontation of the religious leaders who were picky about observing religious things while harbouring hatred, anger and other deeply sinful things in their hearts. The epistle reading in James 2 brings teaching on how God’s word acts as a kind of mirror in which we see what our hearts are really like. The Song of Songs is part of the Biblical wisdom literature, which celebrate love and wisdom as gifts of God to be received gratefully and joyfully. The title tells us it was written by Solomon and the best love song about marriage ever written. It is the story of various encounters between a young Shulammite girl, chosen for the king’s harem, and her feelings of real love and relationship. It could also be Solomon’s wistful story of an earlier marriage with an Israelite girl, before departing from monogamy and Jewish integrity in a (likely) arranged marriage with Pharoah’s daughter, 1 Kings 3:1, Deut. 7:6. Early interpreters saw this as an allegory of God’s love for His people, or His church. Recent scholarship has seen this love poem for what it is, as it states, a work of Solomon, who reflects on the purity of simple, unfettered romance compared with the experience of every kind of need provided for in the palace. However, it also speaks illustratively of Christ’s deep love for His church. Look! Here he comes, leaping across the mountains, bounding over the hills. Look! There he stands behind our wall, gazing through the windows, peering through the lattice. The girl looks out for her lover with eager anticipation; she sees him as like an agile deer, adept at surmounting obstacles. They just want to be together, despite obstacles. “Arise, my darling, my beautiful one, come with me. Winter in the Middle East can be a cloudy, gloomy season of rain, but the transition to spring is rapid. the season of singing has come, the cooing of doves is heard in our land. “Singing” – more likely from the context than ‘pruning’ in older versions. All the senses are aroused in this description of the land awakening. for your voice is sweet, and your face is lovely. Doves were associated with love; Solomon is saying that in her, he experiences love. The hidden Shulammite girl is the real dove who he wants to see and hear. The words face…voice, voice…face are in the form of a literary mirror. IN PRACTICE This excerpt from Solomon’s love song speaks to us about being real about love and its emotions and sensuality – all God-given. It can also be seen as a picture of God’s love for His Church – and for us. He wants to capture our hearts more than any passionate young lover can express. QUESTION What gets inhibits you from revelling in God’s love for you? In this chapter the Pharisees become more outspoken in opposing Jesus, and the gap between true spirituality and man-created religious tradition becomes more evident. “Teachers of the law… from Jerusalem” – a delegation of leading Pharisees who had come from the city, probably at the invitation of the Galilean Pharisees. Mark’s readers in Rome needed additional background on the ways of Judaism to understand the dispute. “Defiled… unwashed” – this washing had nothing to do with dirty hands. Someone would pour water out of a jar onto your hands with the fingers pointing up, then again over both hands with the fingers pointing down. This created a ritual dissociation with anything ‘unclean’ the hands might have touched. There was nothing in the law of Moses about washing hands before eating, except for priests about to eat holy offerings. “Tradition of the elders” – this was a collection of laws and interpretations constructing rules of living that went beyond the Scriptures. At this point it had become a higher religious authority in Judaism than Scripture itself. Jesus was held responsible for His disciples. “ ‘These people honour Me with their lips, but their hearts are far from Me. Isaiah’s prophecy, here in the Greek version, perfectly describes the attitudes of the Pharisees and scribes Jesus encountered. They were ‘pretenders’, masked actors, the original meaning of hypocrites, holding a sham spirituality like many religious people today, where knowing God and His ways had been replaced by unscriptural and non-binding “merely human rules” listing various ‘oughts and musts’. They had turned living in God’s love and faithfulness and knowing Hs heart, into a religion of performing the right actions. “Commands of God…human traditions” – Jesus told them they had abandoned the Ten Commandments and Moses’ summary of Deuteronomy 6:1-6 and Deut. 11:1. God’s heart was to be on their hearts, but instead they had created an exclusive and over-complicated religious system of ‘holiness’, a misunderstanding of Lev. 11:44, that missed the point – what we call a ‘tick box mentality’ that actually cancelled out God’s word, Mark 7:13 (omitted from the reading). “Listen to Me, everyone” – Jesus makes a bold and clear statement to encourage his hearers, at the expense of infuriating the religious leaders. “Outside a person… from within” – it is not living in an impure world that is defiling, but having an impure or evil heart. Sin separates from God, not unclean hands. What a person is on the inside will find expression on the outside and show them to be of true character and therefore purity – or show them up. Post-resurrection and Pentecost, the apostles taught that spiritual rebirth and the empowered life of the Spirit enabled believers to choose to live in their new nature, above selfish ‘flesh’ motives. IN PRACTICE This is clear teaching by Jesus of the folly of the Pharisees’ practice of religious ‘righteousness’ (and their pride in it) while harbouring hatred and a desire to speak badly and untruthfully about Him and even try to kill him. To ‘major on the minors’ of tradition while missing the point by having resentful hearts is a lesson for us all. Turning to Jesus and acknowledging His Lordship in a personal submission, is like having a whole new heart, which the Holy Spirit continues to indwell to make us more and more Jesus-like. QUESTION Have you truly given your heart to Jesus? And which part of your heart might He still be asking you to hand over? “Father of… lights” – an ancient Jewish expression. God created the sun, moon and starts, which all move in the sky, cast moving shadows and vary in brightness. God’s light is constant, Malachi 3:6, 1 John 1:5. 18 He chose to give us birth through the word of truth, that we might be a kind of first-fruits of all He created. “First-fruits” – in the OT, an expression for the first and best of the harvest. Christians are to show God’s new creation that is to come, 2 Peter 3:10-13, as examples of the ultimate restoration of creation, Romans 8:20-22. 19-20 My dear brothers and sisters, take note of this: Everyone should be quick to listen, slow to speak and slow to become angry, because human anger does not produce the righteousness that God desires. 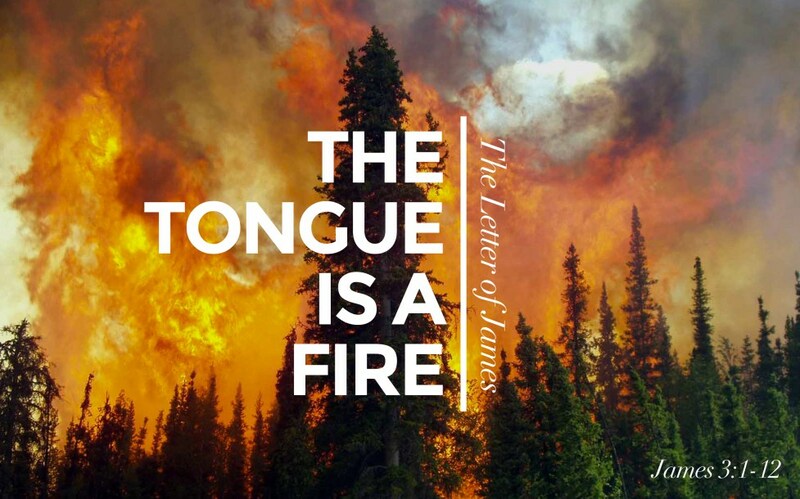 “Quick to listen (etc)” – this gives a brief outline of the whole letter which is later expanded in James 1:21-2:26 (listen), 3:1-18 (slow to speak) and 4:1-5:18 (slow to anger). “Human anger” – when things go wrong our first reaction is retaliation from the flesh. Until we let go of that first response of, literally, “man’s anger”, we can’t be directed by the Spirit to perceive God’s righteousness coming through our view of the difficulty. “Get rid of”, literally “put off” like mucky overalls. This is commanded in more detail in Eph. 4:22, 1 Peter 2:1. “Save you” – sin is never lifegiving but has the opposite effect, death-bringing: first spiritually, then physically. “Humbly accept” – as those who are teachable. “The word planted in you” – an allusion to the ‘new covenant’ prophecy of Jeremiah 31:31-34 where God promises to ‘write His law’ on His people’s hearts. “Merely listen” – the teachable spirit wants to learn and apply. Hearing and not responding is the beginning of more serious and systemic deception. “Deceive” – or delude yourselves. It is a word used in mathematics. James is saying that those merely listening but not engaging have made a serious miscalculation. “Do” – more literally, “prove yourselves doers of the word” (NASB). As Jesus taught, Matt. 7:24, 26; Luke 6:46, 49. 23-25 Anyone who listens to the word but does not do what it says is like someone who looks at his face in a mirror and, after looking at himself, goes away and immediately forgets what he looks like. But whoever looks intently into the perfect law that gives freedom, and continues in it – not forgetting what they have heard, but doing it – they will be blessed in what they do. “Forgets what he looks like” – not acting on something in your reflection that needs to be straightened, is to forget to do it. Similarly with the word of God, which is a mirror showing what is askew in our soul. 26-27 Those who consider themselves religious and yet do not keep a tight rein on their tongues deceive themselves, and their religion is worthless. ‘Religion’ that God our Father accepts as pure and faultless is this: to look after orphans and widows in their distress and to keep oneself from being polluted by the world. “Religious… religion” – a play on this word which contrasts ceremonial, church rituals and external trappings with genuine faith. Perhaps the third ‘religion’ should be in quotes. Religious acts are no substitute for changed values and a changed, unselfish way of life. IN PRACTICE Being made holy – the long word is sanctification – is truly a life-long process which starts with new birth through the word of truth. The truth that is God’s word continues to confront and bring change to our deep-seated human independence, and all the attitudes and responses that come from that. We were born in selfishness and independence from God and coming back to Him in holiness is a long journey, with a big step change we call the new birth. All the time the word and the Holy Spirit are working together to transform us from the inside, with our willingness or resistance playing a big part in that. James’ teaching here is about not destroying the good process by “merely listening,” “not doing what it says” and entertaining “human anger” – but working with God the Father to become people who find ourselves doing what He would have us doing. QUESTION When you hear God speak to you through the word, what helps you to put it into practice? PRAYER Lord, help me to purify my heart and make it Yours. I know it’s a process, but I pledge my willingness to work with You and listen when You show me what needs to change. Come, Holy Spirit, Spirit of Jesus, and grow me to be more Jesus-like as I set out to do my part. Amen. SUMMARY The three readings all speak of how the presence and purpose of God and the heavenly host affects events in our lives – and how choices we make, and the spiritual position we take, affects the spiritual reality behind what we experience. Yahweh’s presence was visible to the Israelites in the pillar of fire and cloud, on Mount Sinai and in the desert wanderings, and then at the consecration of Solomon’s temple. Jesus taught how He was the bridge between heaven and earth in a way that had to be spiritually discerned. And Paul, writing to the church in Ephesus, teaches them that the struggles against evil that we all face are spiritual battles won in the place of holiness and prayer, not human argument and political strength. Then King Solomon summoned into his presence at Jerusalem the elders of Israel, all the heads of the tribes and the chiefs of the Israelite families, to bring up the ark of the Lord’s covenant from Zion, the City of David. 6 The priests then brought the ark of the Lord’s covenant to its place in the inner sanctuary of the temple, the Most Holy Place, and put it beneath the wings of the cherubim. “Ark… to its place” – moved from David’s own shrine into the temple, probably in the 12th year of Solomon’s reign. 10-11 When the priests withdrew from the Holy Place, the cloud filled the temple of the Lord. And the priests could not perform their service because of the cloud, for the glory of the Lord, Yahweh, filled His temple. “The cloud” – The presence of the Lord appearing in a visible cloud, as at Sinai. For further study, Exodus 24:15-18; Exodus 40:33-38; Numbers 11:24-25 and 2 Chron. 7:1-3. “Lord, the God of Israel, there is no God like You in heaven above or on earth below – You who keep Your covenant of love with Your servants who continue wholeheartedly in Your way. “No God like You” – Yahweh was quite different from the impersonal, fickle deities of other nations, directing events to fulfil His covenant promises. See Exodus 15:11, Deut. 7:9,12, and Psalm 86:8-10. “Covenant of love” – Hebrew berith chesēd, covenant faithfulness, which made Yahweh unique and different. However, there was also responsibility on the other party to “continue wholeheartedly” in His way. 24 You have kept Your promise to Your servant David my father; with your mouth You have promised and with Your hand You have fulfilled it – as it is today. “If only your descendants are careful” – a clear, unambiguous condition amplified in the “But as for you… but if you” statement of 2 Chron 7:17-22. 26 “And now, God of Israel, let Your word that You promised Your servant David my father come true. “How much less this temple” – Yahweh could not be contained, but the cloud of glory and physical temple led to a false belief that God’s assistance was assured however people lived, Jer. 7:4-14, Micah 3:11. 28 “Yet give attention to Your servant’s prayer and his plea for mercy, Lord my God. Hear the cry and the prayer that Your servant is praying in Your presence this day. 29 “May Your eyes be open toward this temple night and day, this place of which You said, ‘My Name shall be there,’ so that You will hear the prayer Your servant prays toward this place. Verses 30 and 40-43 in the longer reading speak of God’s mission to all peoples of the earth, that they might know His name and His ways. 30 “Hear the supplication of Your servant and of Your people Israel when they pray toward this place. 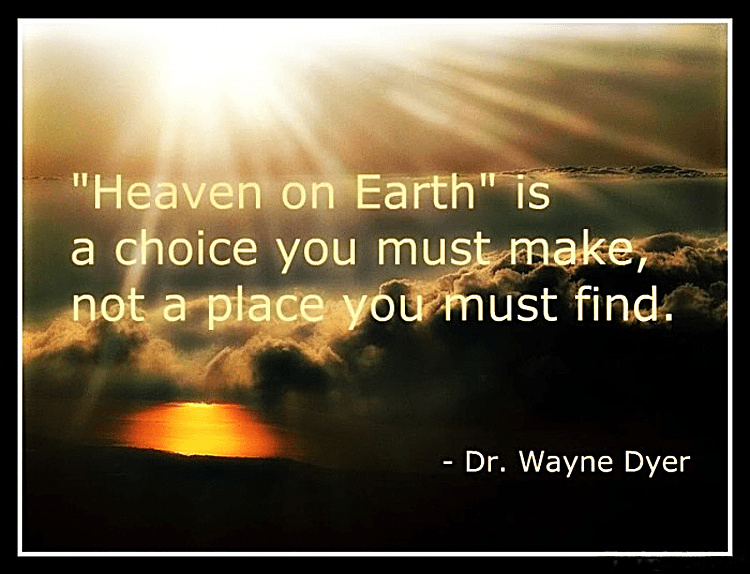 Hear from heaven, Your dwelling place, and when You hear, forgive. “Toward this place” – Israelites who could not pray in the temple directed their prayers to the temple, the place where God has promised to be present among His people, e.g. Daniel 6:10. “Foreigner” – not an alien living in Israel but someone who has journeyed to Jerusalem to pray to Israel’s God. “All peoples of the earth” – the wider intention of God’s mission, which we sometimes overlook in the OT, but plainly stated here. IN PRACTICE Solomon and the priests involved in the consecration of the new temple had never seen the glory cloud, but they knew about Moses entering the cloud on the top of Mount Sinai to receive the commandments, and the glory of the Lord filling the tabernacle tent. For the people of the Old Testament era, the relationship was remote, not personal, with prophets and priests speaking for God and acting as His intermediaries. However our relationship through Jesus is to be personal, not mediated through priests. The story sets out a scenario where we can see that the affairs of heaven and of earth are not compartmentalised, but closely linked. QUESTION How is God’s covenant of love distinct from other world faiths? Whoever eats my flesh and drinks my blood remains in Me, and I in them. 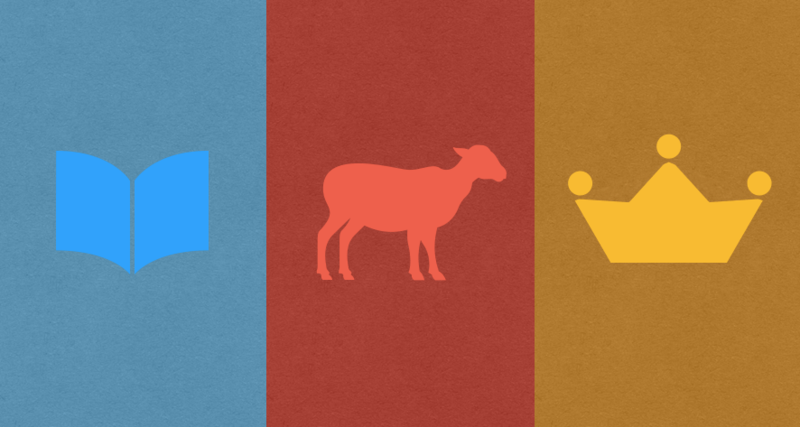 “Feeds on Me” – as John Wesley put it, Jesus becoming the meat and drink that feeds the soul. The Hebrew idiom ‘flesh and blood’ refers to the whole person. 59 He said this while teaching in the synagogue in Capernaum. “Whoever feeds…live for ever” – clearly not to be taken literally, and at this point, no sacrament has been instituted. Eternal life comes from wholeheartedly believing in Him by internalising who He is. 61 Aware that his disciples were grumbling about this, Jesus said to them, “Does this offend you? 62 Then what if you see the Son of Man ascend to where He was before! “Ascend” – to the realm He came from, and harder to comprehend than Jesus offering Himself for them to feed on spiritually. 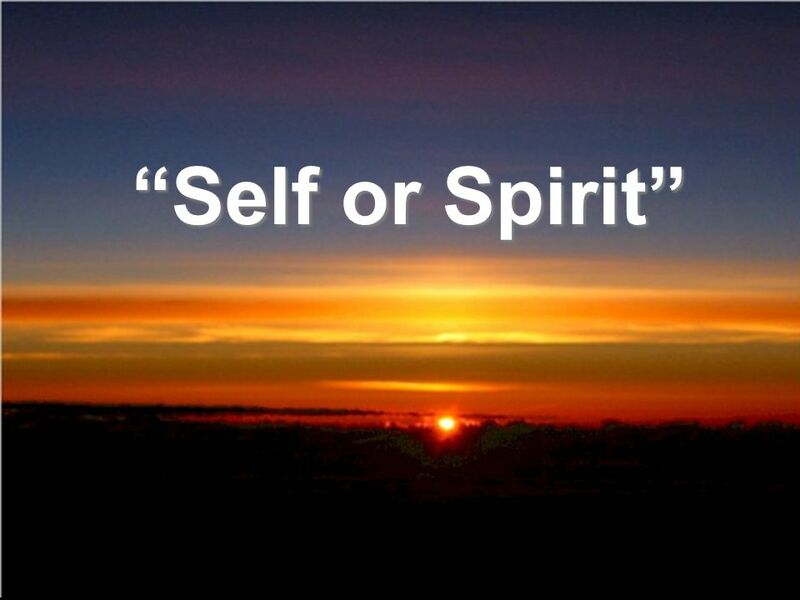 63 The Spirit gives life; the flesh counts for nothing. The words I have spoken to you – they are full of the Spirit and life. Jesus’ hearers, not discerning the spiritual truth behind His words, were shocked and offended. The Jews believed that study of Scripture and ‘doing works of God’ were enough for spiritual understanding. Jesus is patiently explaining to them that the Holy Spirit is needed to provide revelation that human reason cannot – refer back to John 5:39, 6:27-29. 64 Yet there are some of you who do not believe.” For Jesus had known from the beginning which of them did not believe and who would betray him. “The Father has enabled” – only those who seek on God’s terms, and not their own, will receive. Jesus knew some would choose not to believe, and would not allow themselves to be drawn by God – a fine balance between the free will choice to respond, and being drawn to a choice by the Holy Spirit. Different theological streams often give more emphasis to one or the other. 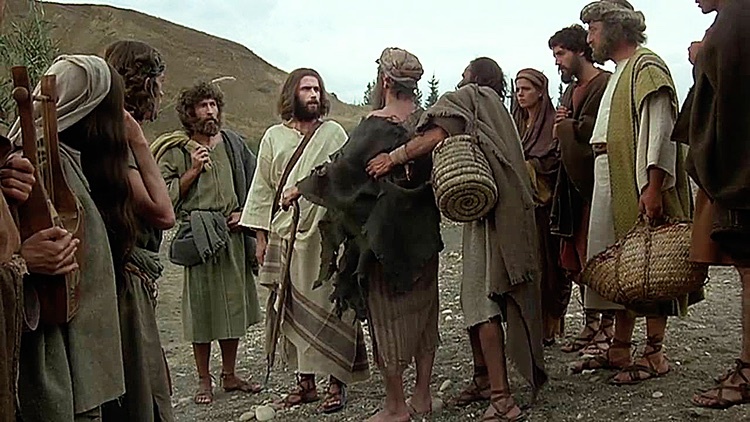 “Many turned back” – Jesus is not surprised that many potential disciples have turned away at this watershed point in John’s gospel..
“To whom shall we go” – the twelve disciples are beginning to get this hard teaching, although for others it was too hard. They don’t want to transfer to another rabbi. “Holy One of God” – God was called the Holy One of Israel, e.g. Psalm 71:22, Isaiah 43:3 and 54:5. IN PRACTICE Jesus reminded His hearers of the manna, God’s day by day provision from heaven for His people dwelling in a desert. Then Jesus challenged them with a steep step of logic – now God’s ‘manna’ from heaven was He Himself. He was God’s provision to them for life, and indeed eternal life and they were to feed on Him by taking Him to heart. We live on earth in an awareness of God – and through Jesus this becomes a real and personal relationship with Him. But we still see a gap between what happens in heaven and what happens, good or bad, in our earthly lives. This teaching of Jesus reminds us that He is the connection. To the extent our lives are lived in Him, and we are placing ourselves under His lordship, what is played out before our eyes is harnessed to the hope we have in the heavenly realm. QUESTION In a practical, day to day way, how would you explain what it means to you to feed on Jesus? “Be strong in the Lord” – being strong humanly is not enough. Recognise the need to summon God’s invincible power. 11 Put on the full armour of God, so that you can take your stand against the devil’s schemes. “Put on” – earlier in the letter Paul has written, “Put on the new self” i.e. the new attitude of who we are in Christ, born anew into true righteousness and holiness. This is countering false witness and fear in the opposite spirit of integrity. For further study, see compare with Ephesians 4:24 and Colossians 3:10. “The devil’s schemes” – the Bible is clear about the present reality of the devil, a personal enemy, who deploys a few predictable strategies to exploit sin, fear and guilt by using accusation and division. Knowing those strategies is a key to recognising their origin, and then standing on who we are in Christ to overcome them. “Our struggle” – it is a mistake to resist human opponents or institutions without recognising the dark spirituality that is manipulating them, and taking a spiritual stand in the authority of Jesus. Even those who know the Lord may well have remaining vulnerabilities that the different levels of spiritual opposition are able to exploit. “Full armour of God” – a picture of the ‘panoplia‘ of the soldier’s kit, but what is meant here is Yahweh’s armour and weaponry, Isaiah 11:4-5 and 59:17, made available to the believer. When evil seems to prevail, truth and righteousness are the spiritual ‘weapons of character’ that win through. “Stand” – repeated four times in this passage for emphasis. Rather than invade the domain of evil, we are to firmly maintain the decisive victory already won by Christ, Eph. 1:20-22, 4:8, Col 2:15. IN PRACTICE The spiritual connection between heaven and earth is real and vital, and that is made explicit here. Struggles are real experiences — our lives are under attack, both in the fears and anxieties and negativities that assail our thoughts, and in all the practical difficulties, health issues, relationship conflicts, adverse weather and accidents. The devil and his minions are personal opponents, always working to steal our peace and cause division wherever they can gain a foothold. The world’s advice is to be strong. Money in the bank, a robust constitution, influential friends… life has taught us how to ‘tough it out’. And this is exactly what we have to ‘unlearn’. This clear lesson from Paul’s teaching is that to prevail, is to prevail spiritually. It requires us to put down our worldly ‘weapons’ in order to take up a very different set of spiritual ones, where growing holiness, integrity and trust in the face of difficulty are the very qualities feared most by our spiritual opponents. QUESTION What makes it difficult for us to take up spiritual weapons? What in Christian life and fellowship helps us to see the spiritual dimension? PRAYER We live in a cruel and difficult world but so, Lord, did You – and we put our trust in You. Help us to perceive more clearly the spiritual realities behind our lives and to constantly give You the Lordship, and praise for Your sacrificial victory. Amen.